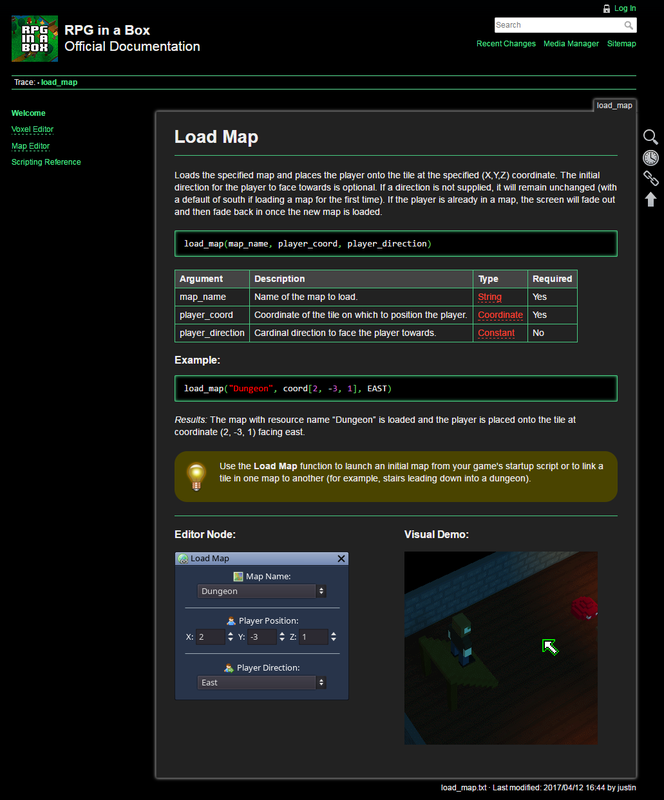 Over the past month I’ve been putting a lot of focus into a new and improved documentation site for RPG in a Box. The task of creating comprehensive documentation for every aspect of the tool is rather daunting, but I have set up a goal for myself of completing one page or section each day. I’ve started by setting up detailed pages for each of the available scripting functions to provide information on each function’s usage along with specific examples, visual demos, etc. 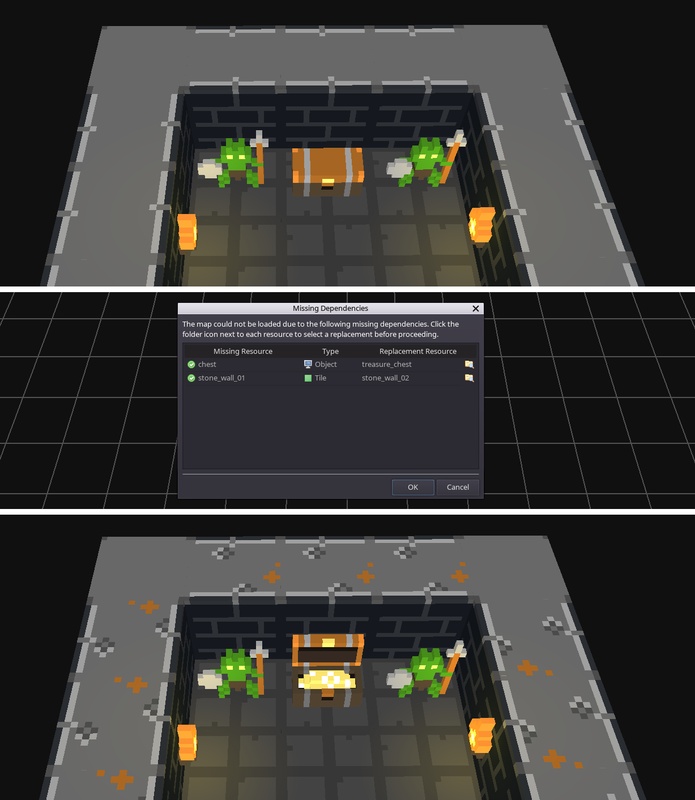 After I complete the few that are remaining, I plan to move onto editor guides for the Map Editor, Voxel Editor, etc. 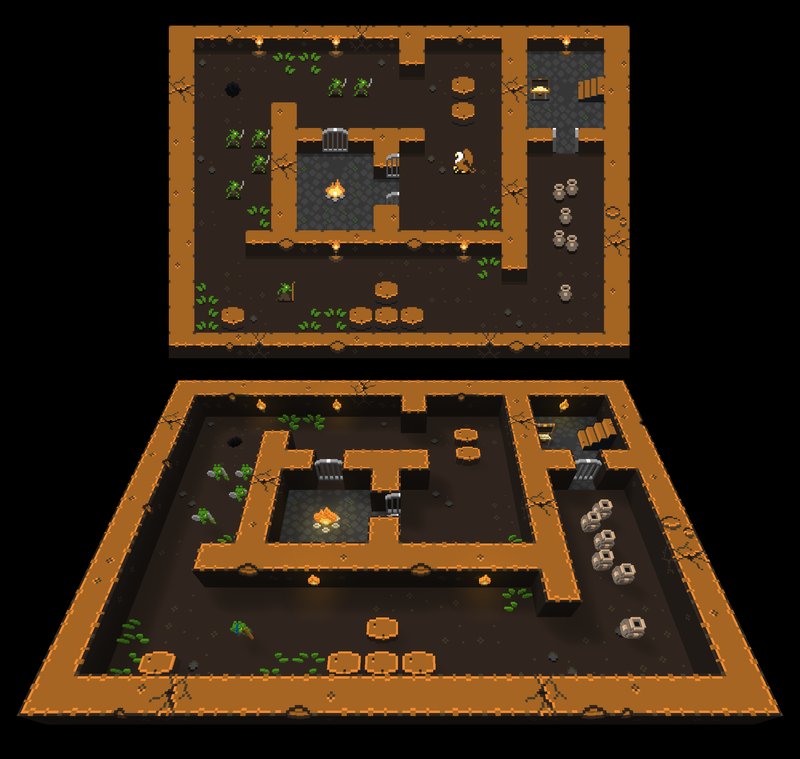 Another exciting thing that I have been working on involves the Tiny Dungeon tileset by Oryx Design Lab (Oryxdesignlab.com). 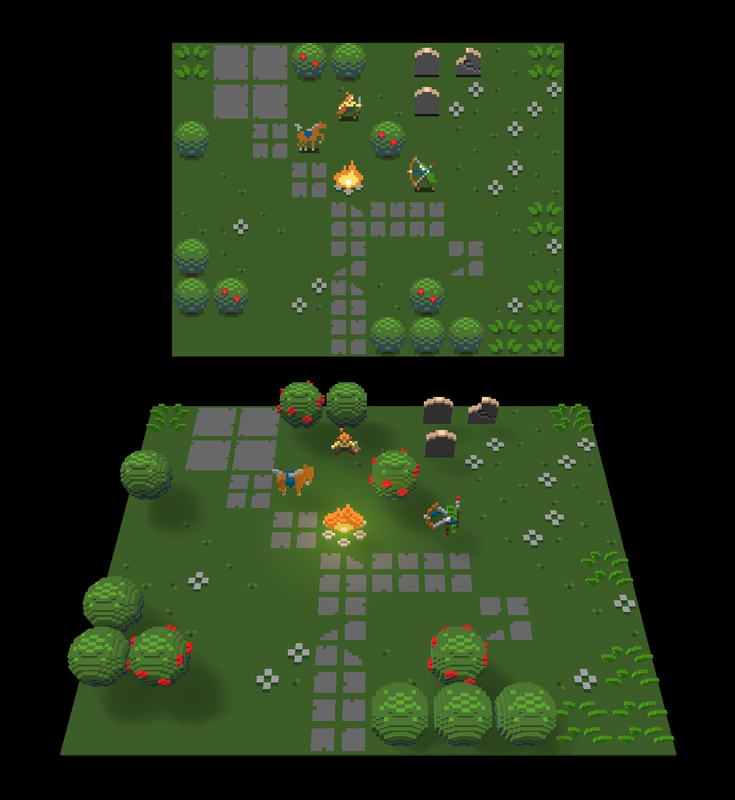 A while back I stumbled across this awesome sprite pack and I got the idea to convert the sprites into voxel models and use them for a demo game of some sort for RPG in a Box. The style is a great fit for the engine, and it’s been a lot of fun converting the tiles, characters, and monsters into 3D! 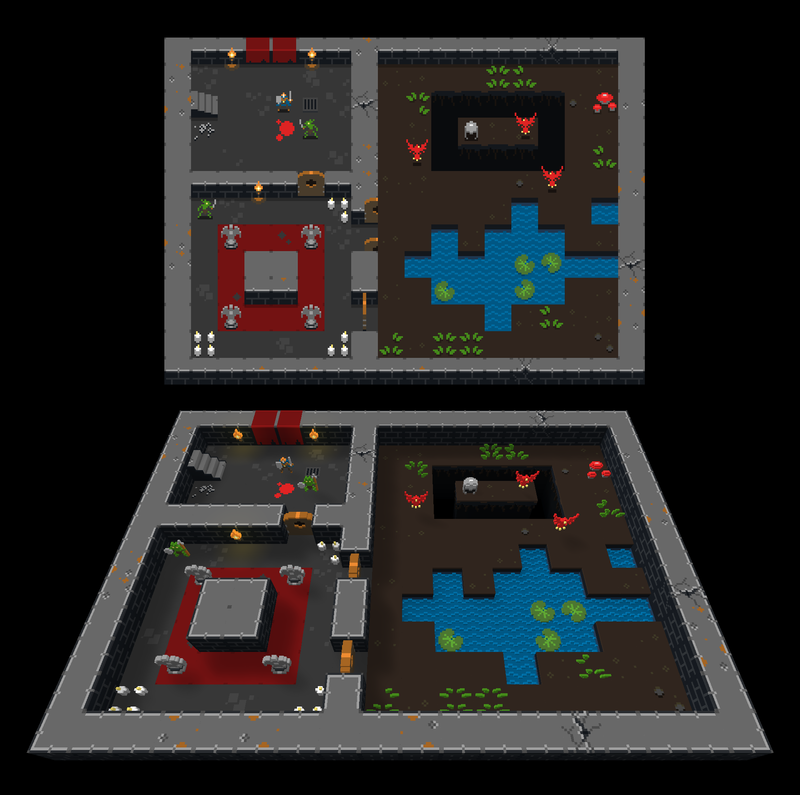 I’ve included some screenshots below showing a before & after of the original examples by Oryx using their sprite pack together with my maps using the converted voxel models. In between the documentation efforts and the Tiny Dungeon project, I’ve managed to get some development done here and there as well. 🙂 I added some new scripting functions for fading in and fading out, as demonstrated in the GIF below. These should be useful during cutscenes, for example when you want to make a visual change to the scene. Another feature I added involves an improvement to the “Missing Dependencies” dialog that is shown when attempting to open a map containing resources that no longer exist. You now have the option of selecting replacement resources for any that are missing! This can be used as a workaround if you’d like to rename some tiles, for example, without permanently breaking any maps containing those tiles. 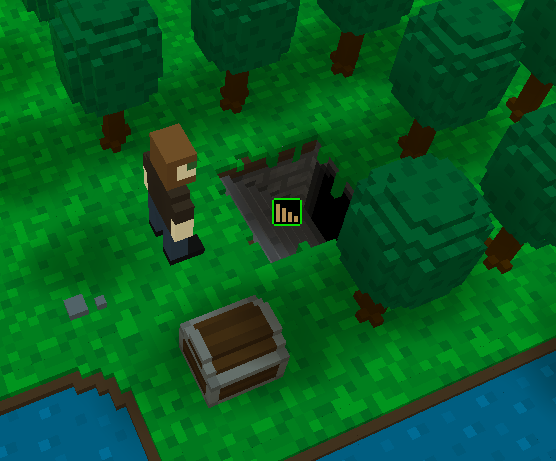 Lastly, another very minor change I implemented was to support interaction cursors for tiles. Previously, this feature would only work with objects. 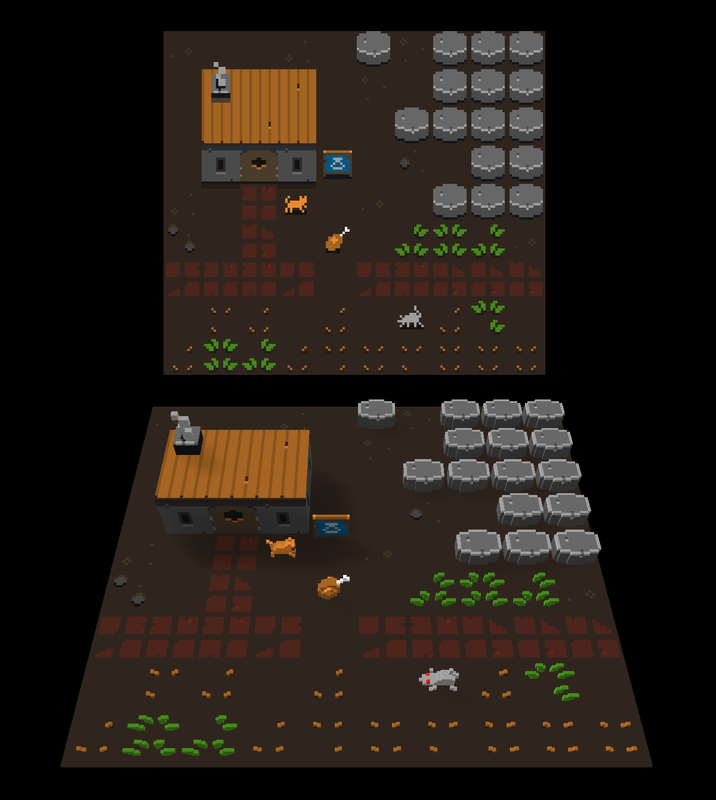 To demonstrate this in my Example Game, I created this simple “stairs” icon that I assigned to the dungeon entrance tiles.